What is the Spanish NIE (Número de Identificación de Extranjero) and why do you need it? 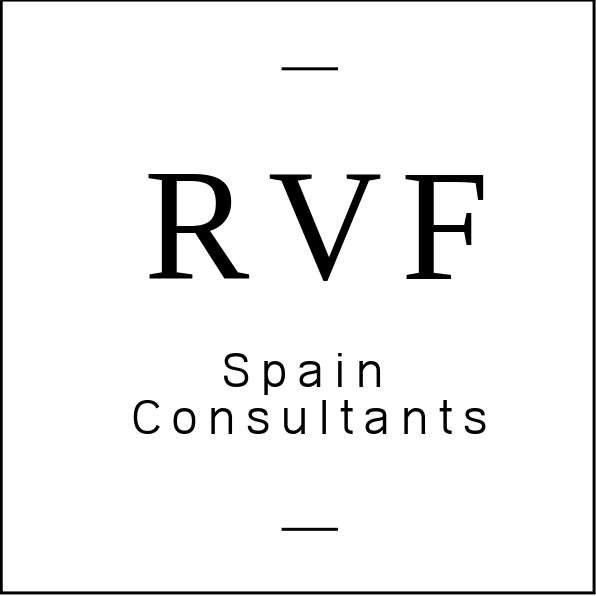 February 15, 2018 August 27, 2018 RVF Spain ConsultantsLeave a Comment on What is the Spanish NIE (Número de Identificación de Extranjero) and why do you need it? The NIE, Número de Identificación de Extranjero, is a Spanish Foreigner’s Identification Number needed for all non-Spanish/EU citizens wanting to stay in Spain for more than 90 days. It is an incredibly important number issued by the General Administration of the State (Administración General del Estado) and is necessary for just about every conceivable transaction or affair you would like to pursue in Spain. The NIE itself is a plastic identification card that is about the exact same size and feel as a U.S. driver’s license. It contains a photo with your Spanish address, fingerprint and personal information. But the most important bit of information it contains is your NIE number, which is a seven-digit number that begins with a letter and ends with a letter, such as X-1234567-P. This number will never expire and cannot be transferred to another person or changed. For what types of activities would you need a NIE? If you are planning on staying inside of Spain for more than 90 days, you will 100% need a NIE. If you are planning on staying inside of Spain less than 90 days, for example maybe you are studying abroad in Barcelona for two months, you won’t need to worry about this at all. Chances are you won’t be doing anything that would require a NIE, such as working or purchasing property if you are staying for that little of time. Pursuing most any form of professional, business or economic related interest. Most likely if you are a tourist and only plan to visit Spain less than 90 days, you won’t need a NIE. However, if you are planning on staying in Spain more than 90 days, and/or do any of the above mentioned activities, you will absolutely need to apply for one. If you need assistance applying for a NIE and starting the process, you can send us an email at rvfspain@gmail.com and we can help you with the process from start to finish. If you found this post to be helpful, take a look at our other posts as we discuss a variety of topics related to Spain. If you are interested in teaching and living in Spain for a year or need assistance becoming autónomo, send us an email at rvfspain@gmail.com letting us know so we can contact you to set up a free 20 minute consultation! What is the Abono and how can you get one? December 29, 2016 August 27, 2018 RVF Spain Consultants1 Comment on What is the Abono and how can you get one? The Madrid Public Transportation Card, referred to as an Abono Transportes is a small, red plastic card (same feel and size as a credit card) that is used to access public transportation within the city of Madrid, Spain. Much like a Charlie Card for Boston or a Metro Card for the New York subway, the abono transportes is a plastic card that is pre-charged with either a specific number of uses, or for unlimited use within a 30 day period. It used to be that several months ago if anyone in Madrid wanted to take the subway (known as the metro in Madrid) they could just buy a one-way pass in the form of a small, paper ticket. However, those days are gone and it is mandatory in Madrid for all, natives, foreigners and tourists alike, to purchase the abono and charge it for however many trips they will be needing it for. How much does an abono transportes cost? If you are 25 years old or less, then the “youth” abono will only cost you €20 each month for unlimited transportation on the metro, buses and trains anywhere inside Madrid the “state” for 30 days. Such a good deal! If you are between 26 years old and 64 years old you will have to apply for the “normal” abono that ranges in price depending on where you would like to go. For most tourists visiting Madrid, and even for most expats living in Madrid, you will almost certainly find yourself exclusively in Zone A, which for someone with the “normal” abono would cost €54.60 for unlimited use of public transportation, inside Zone A, for a 30 day period. If you are older than 64 years old, then a “senior” abono for you will cost €12.30 for unlimited use on all forms of public transportation for 30 days within Zone A to Zone C2, which is a basically anywhere you would like to go/would ever have any reason to go, especially if you are just visiting. Below you can see a more detailed photo of the abono pricing depending on your age and the Zone you would like to visit, including a map of Madrid the “state” and all the Zones its divided in to. How and where can you apply for the abono? If it is your first time applying for the abono all you will need to do, once in Madrid, is make an appointment online and then schedule the day and time of the appointment at your convenience at a metro station near you. Click on the first option Quiero obtener una Tarjeta Transporte Público/I would like to obtain the Public Transportation Card, and then Aceptar/Accept. On this page there will be three options. Click the first option El solicitante tiene entre 7 y 25 años if you are between 7 and 25 years old. Click the second option El solicitante tiene 26 años o más if you are older than 26 years old. After selecting the option that applys to you, click Aceptar. Next you’ll have to select Pasaporte/Passport and then enter the numbers of your passport in the small, rectangular box where it says Documento as well as your country abbreviation. Now you will have to click on Pedir Cita Previa/Schedule an Appointment, if this is your first time. You’ll be directed to a page where you will see two options that allow you to search by administrative office or by date. The first of the two, Iniciar búsqueda de cita previa por oficinas de gestión, will allow you to search by administrative office, and the second, Iniciar búsqueda de cita previa por fecha, by date. After checking the small box on either of the two options and filling in the information that applies to you, click on Buscar Cita Previa/Look for Available Appointments. After choosing the day and time that suits you best, click on Confirmar Cita/Confirm Appointment down at the bottom. In the next page, enter your email address where it says Correo Electrónico, and your phone number where it says Télefono Móvil; enter the codigo de validación/validation code, and lastly click on Finalizar to finalize the process. You should receive an email confirming your appointment. Print out that confirmation email and bring it with you to your appointment. What do you need to bring to your scheduled appointment? And either your passport, or your Spanish residency card and a photocopy of that documentation. If you’re just visiting Madrid we recommend you use your passport because that’s most likely the only official documentation that they will accept. If you don’t have a printer and don’t know where you can make a photocopy of your passport you can click here to find the nearest printing service in Madrid. Now all you’ll need to do is go to your appointment, get your abono and explore to your hearts content! *You can download a copy of the Madrid Metro Map here.